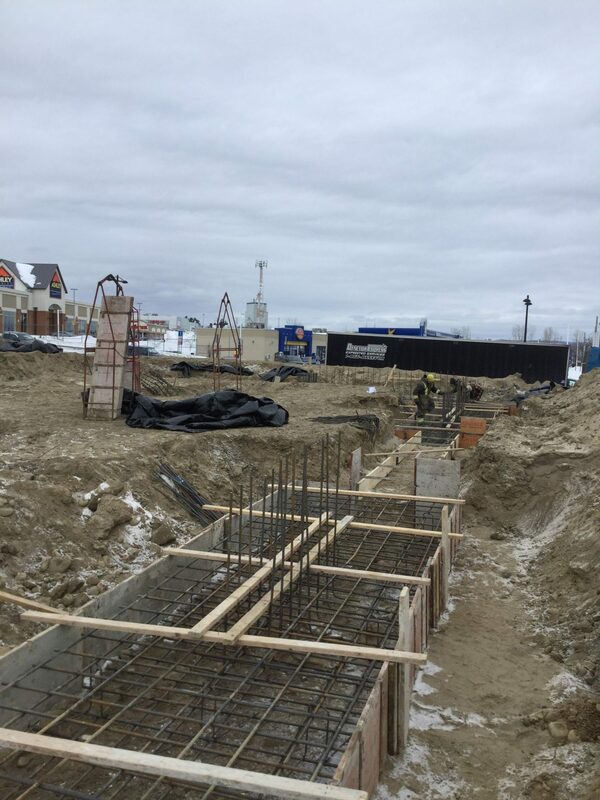 Since the last update of the work progress on the construction site of Promenades des Continents‘s building “C” in Saint-Jérôme, we have witnessed, throughout the month of February, the completion of the formwork and concrete work of the footings and structural steel works of the building, in addition to the beginning of the sealing works of the facades. 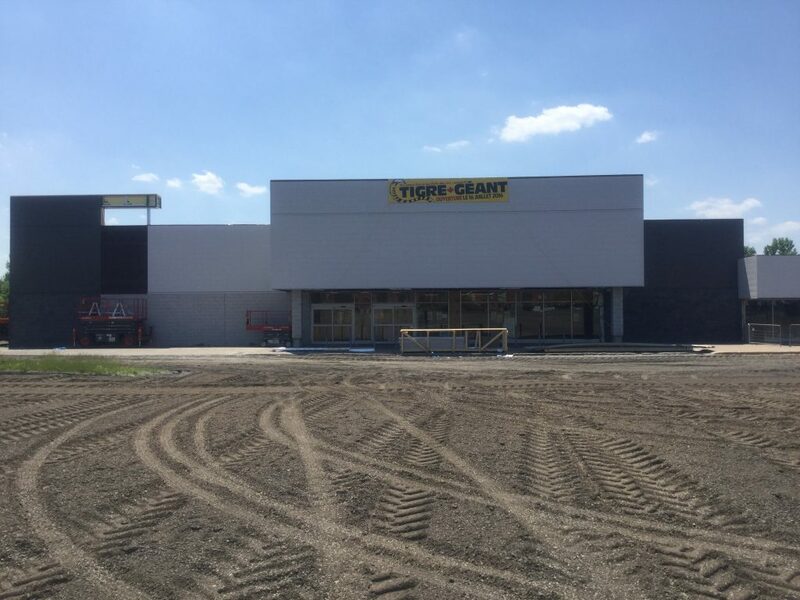 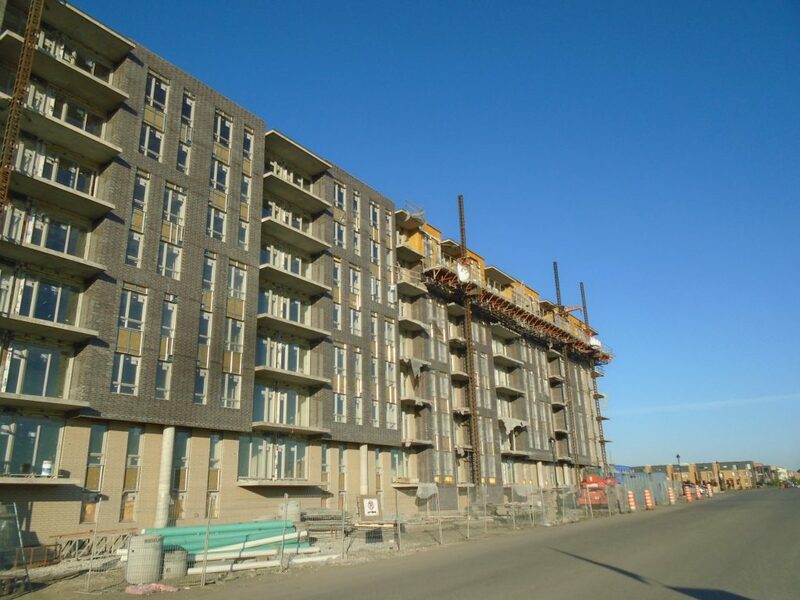 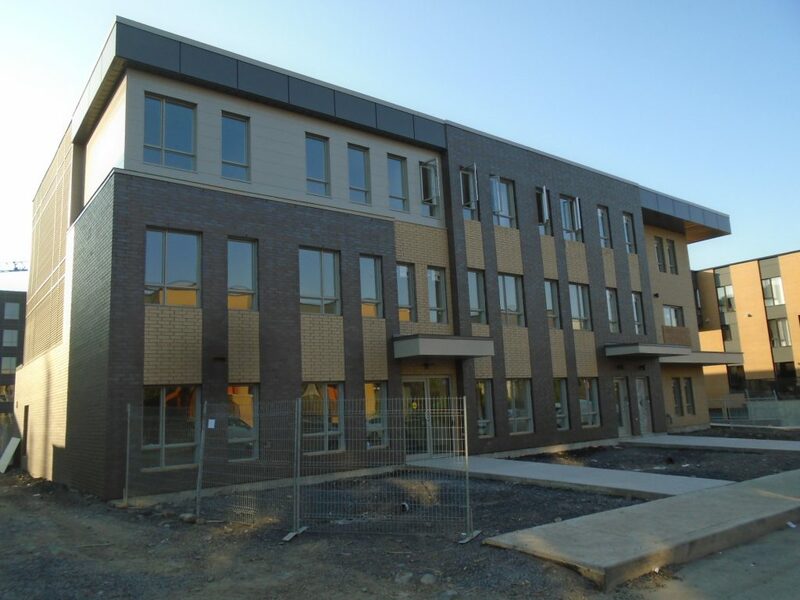 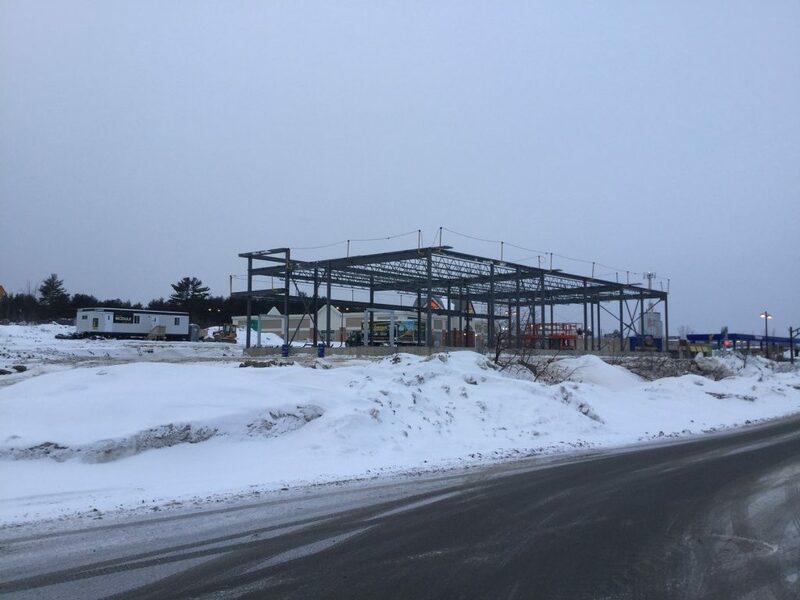 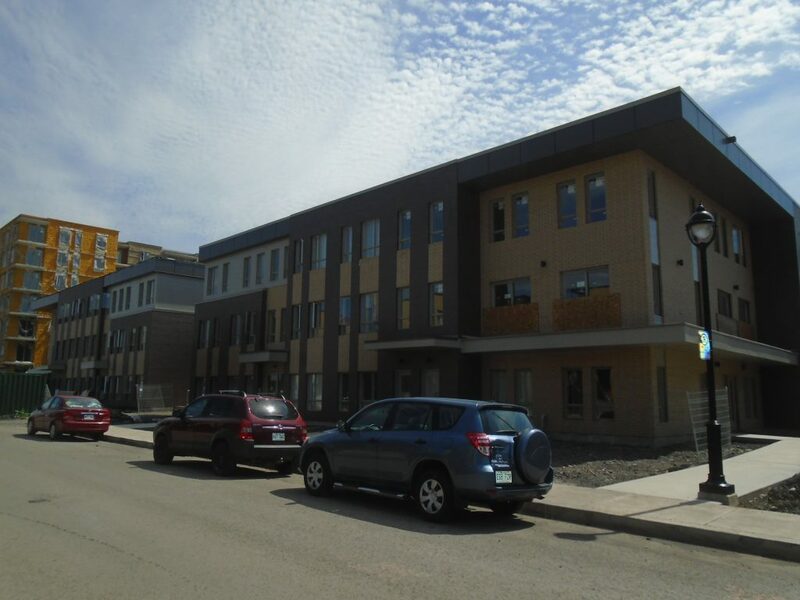 View of the new “C” building at the intersection of Lamontagne street and Rolland-Godard Blvd. 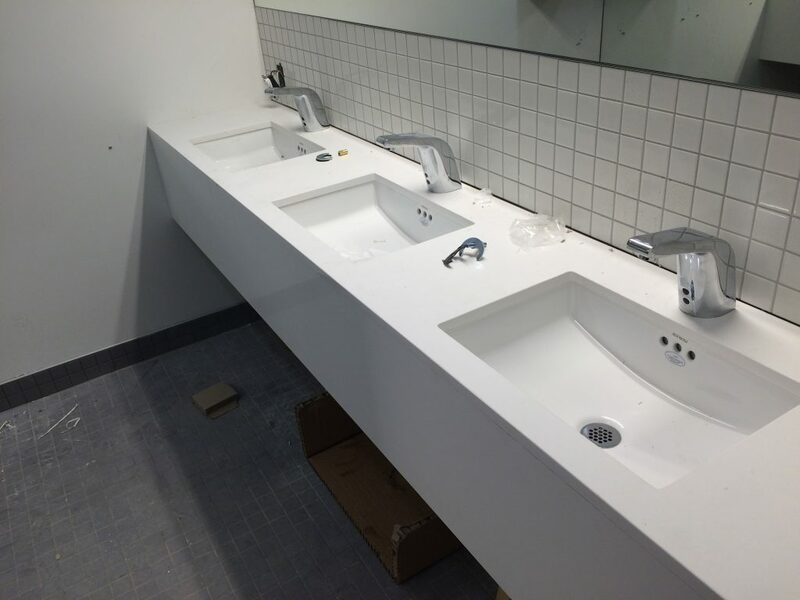 Since the last update in our “News” section for the renovation project at St. George’s High School – Fitness Center, we have seen a major work advancement in the last two months for the following items: Installation of new finishes and plumbing fixtures ans accessories in the locker rooms and washrooms in the basement, installation of the structures for the new fitness area and a variety of new finishes and integrated furniture. 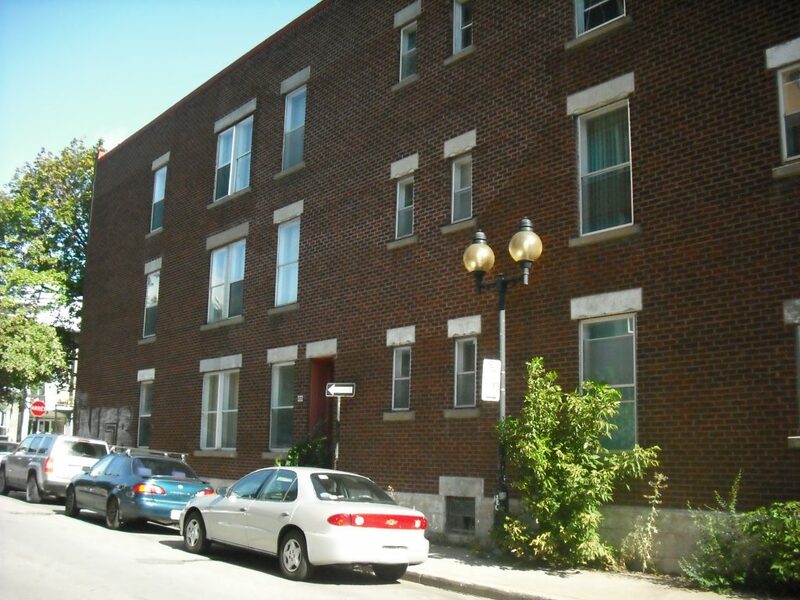 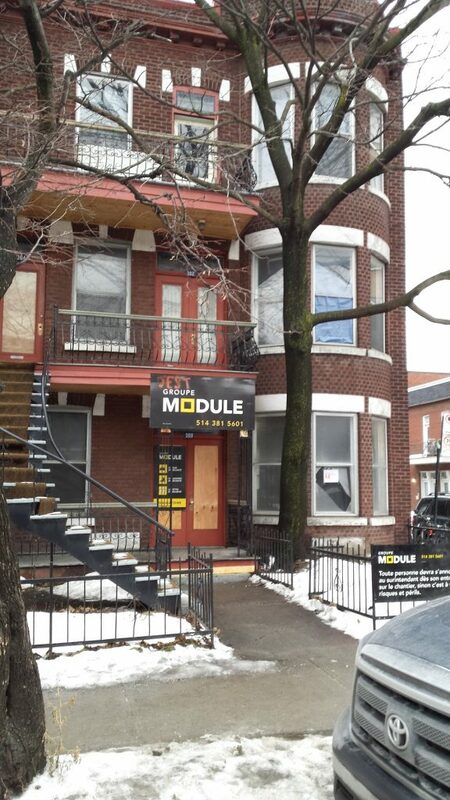 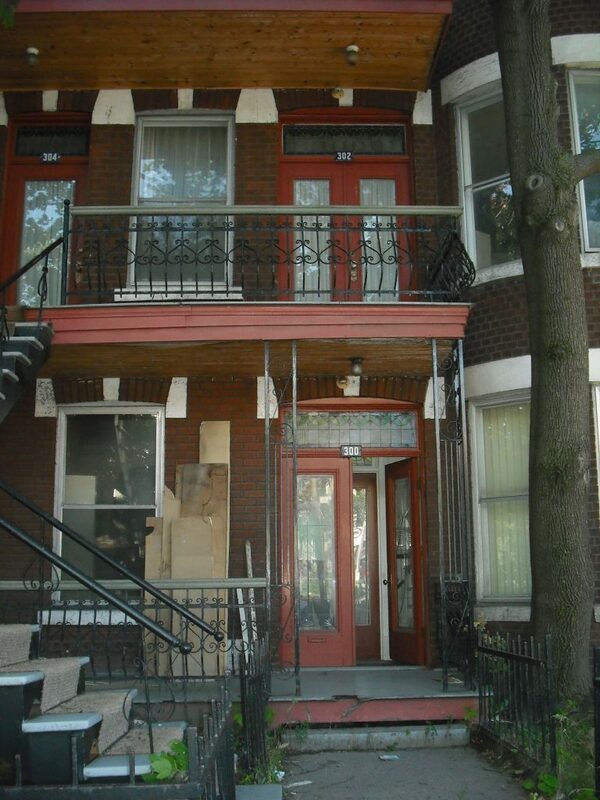 Since December 2016, Groupe Module has begun renovating and remodeling the old triplex located at 300 Saint-Joseph Est on Le Plateau. 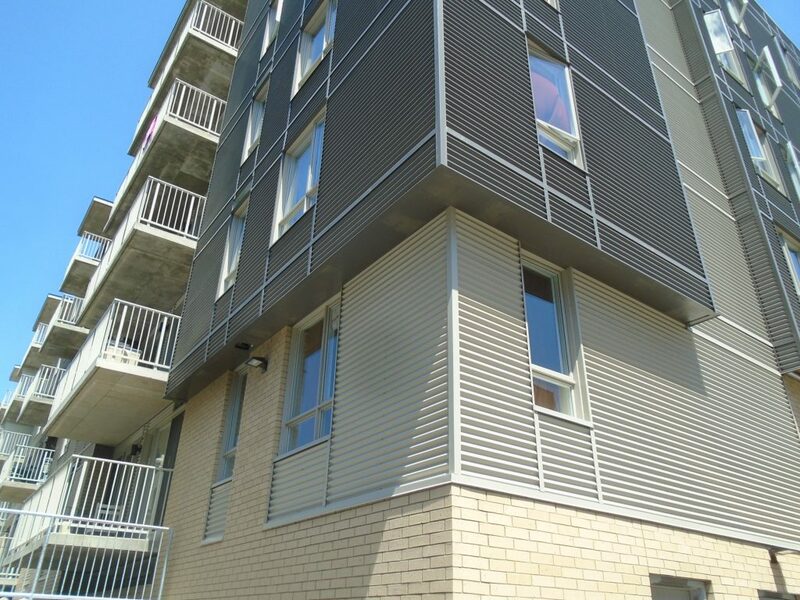 The main aim of this work is to transform the three former apartments on 3 floors into 6 new modern units. 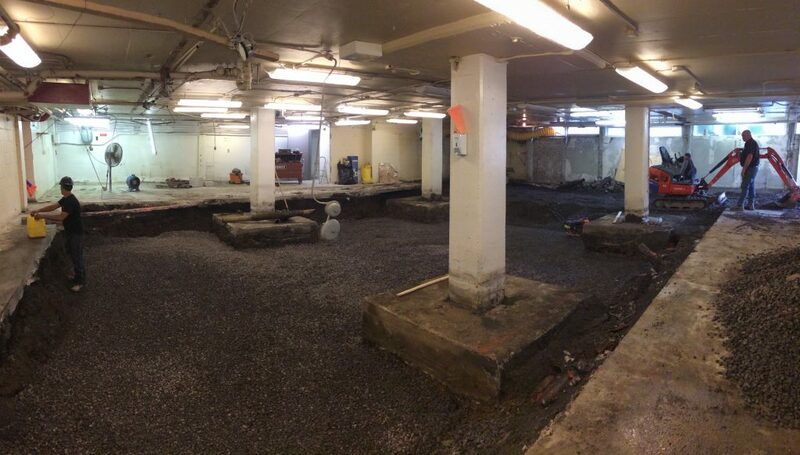 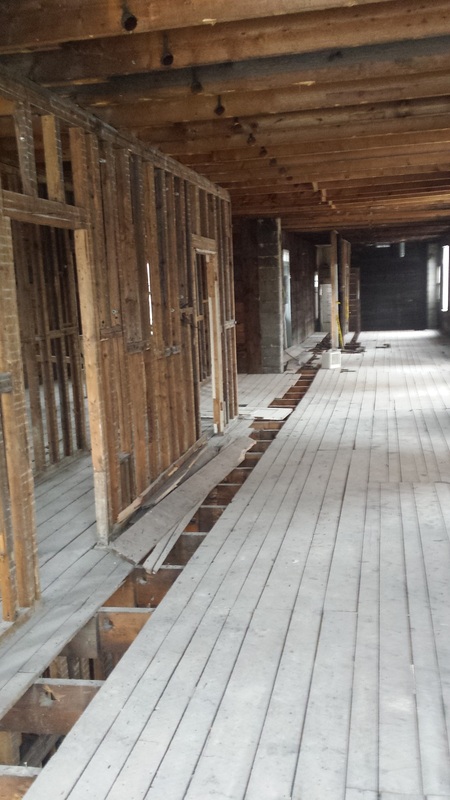 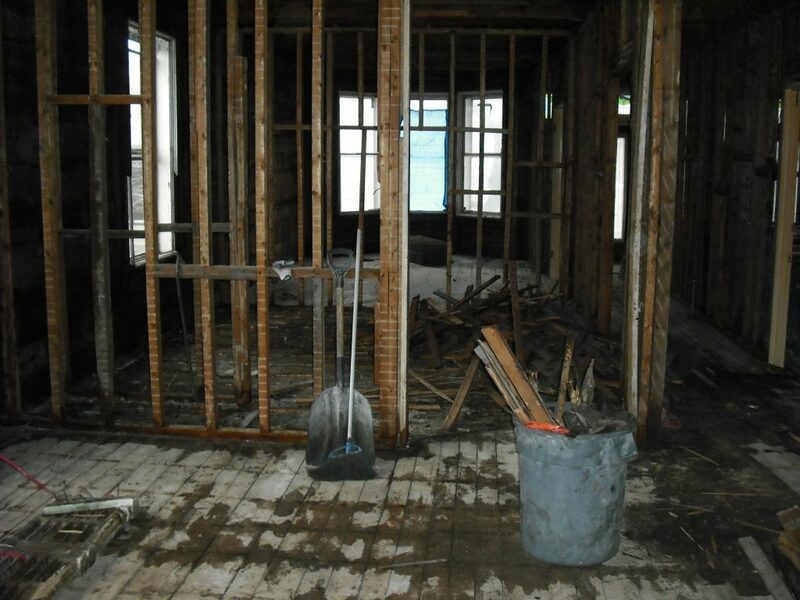 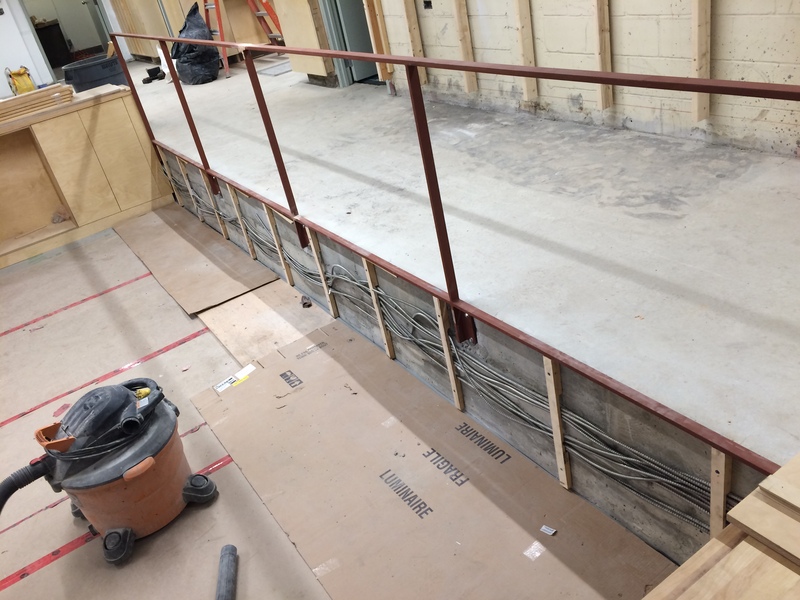 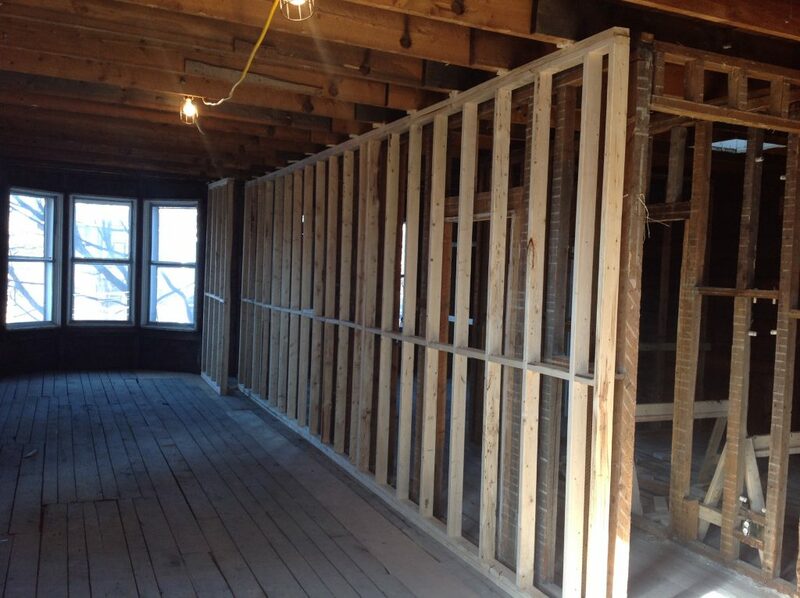 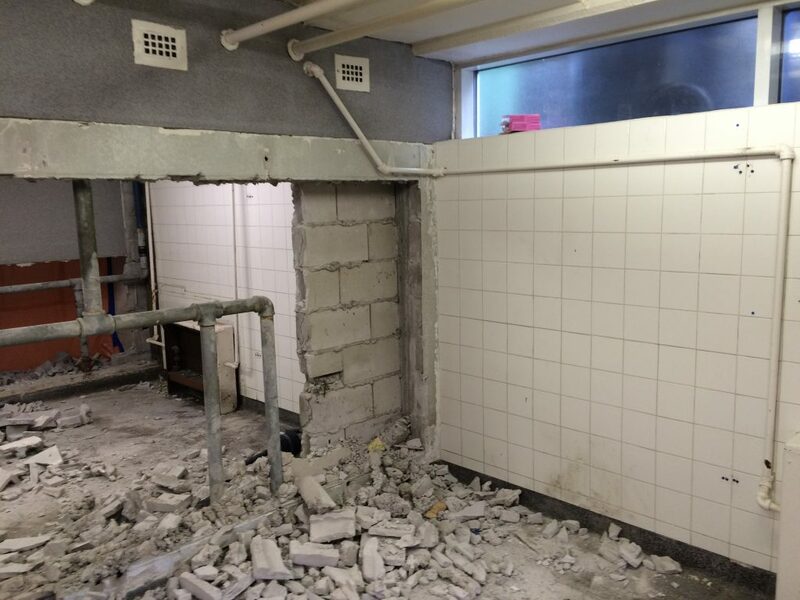 Stripping the existing partitions and walls – The demolition works were carried out at full size on the 3 floors. 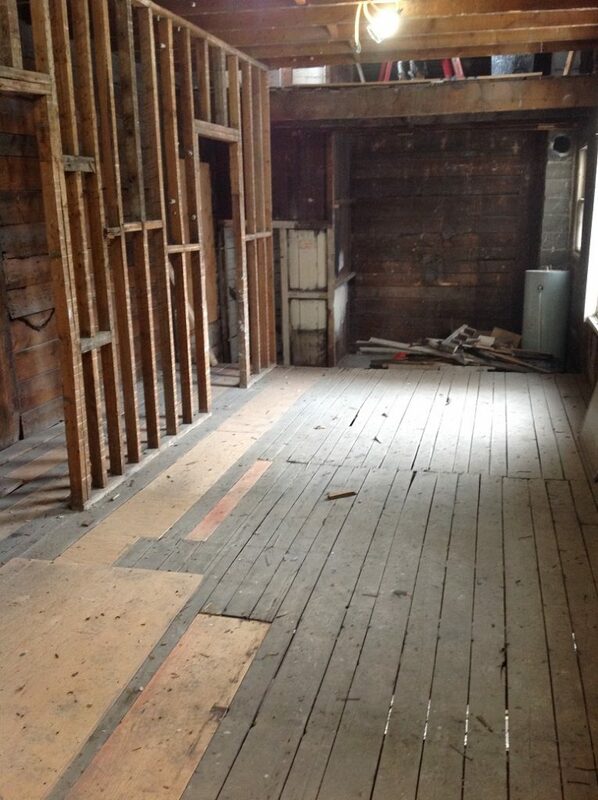 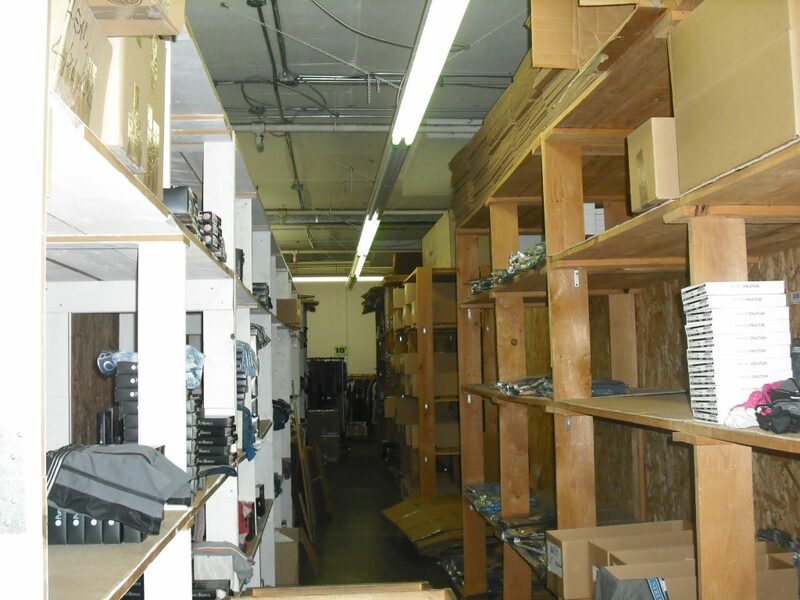 Only certain partition structures and floors are retained. 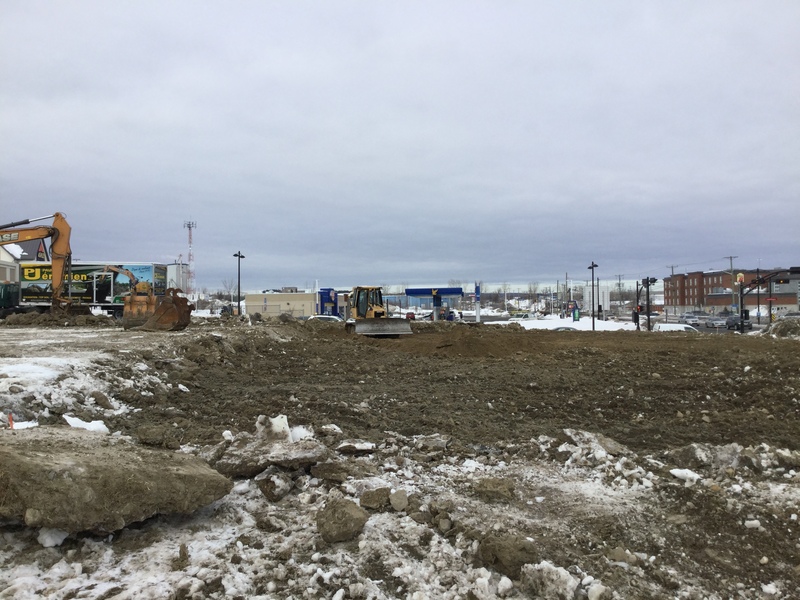 Since November 14, 2016, Groupe Module is proud to have awarded the contract for the new construction of the “C” building of the Promenades des Continents located at 385 Lamontagne Street in Saint-Jérôme. 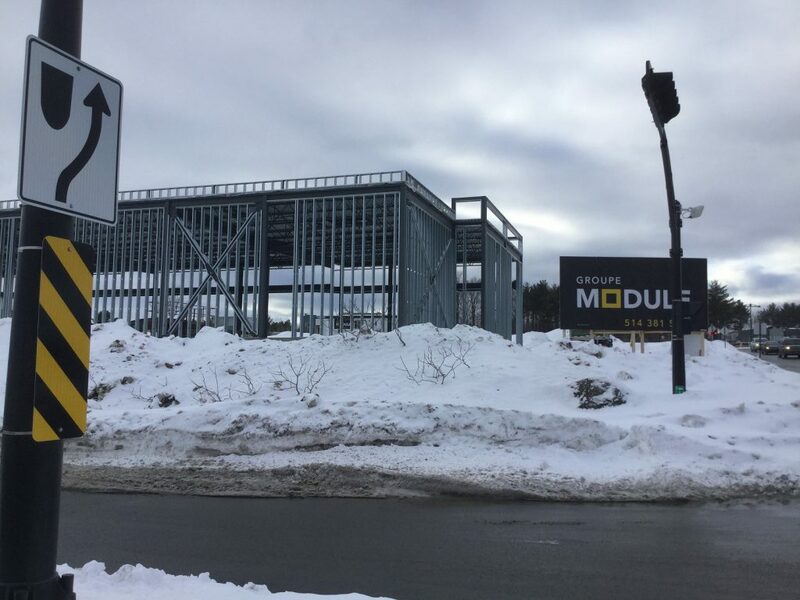 Groupe Module’s mandate for this project is to build a commercial base building to accommodate the future Starbucks coffee shop. 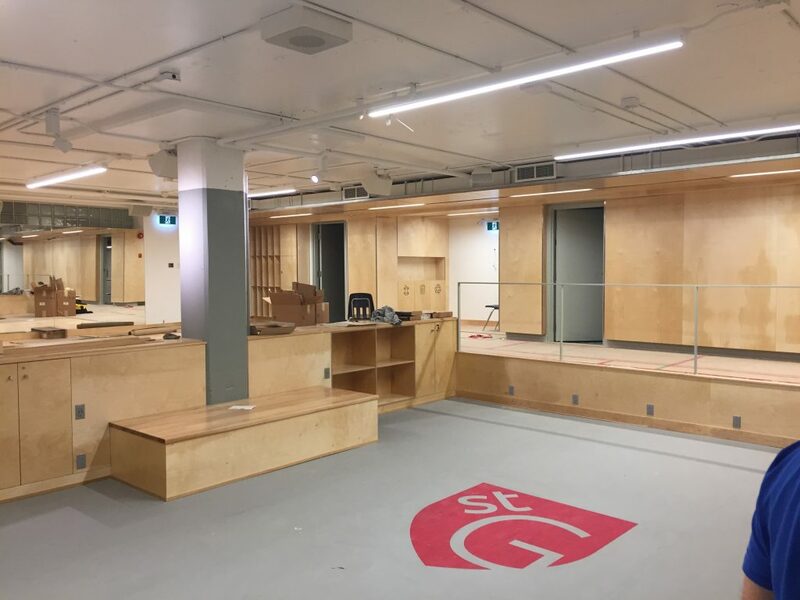 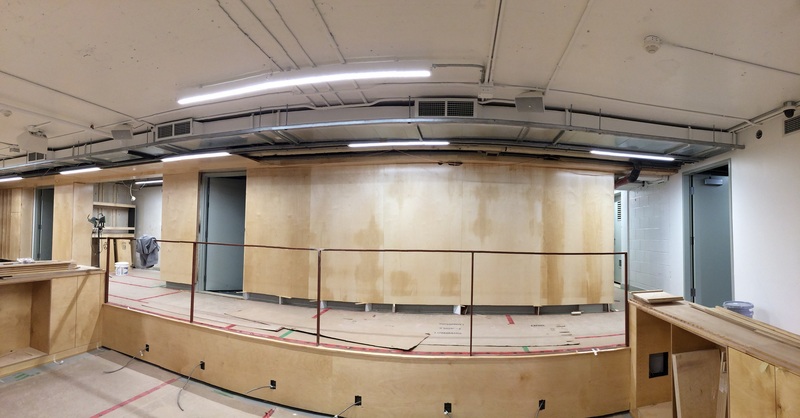 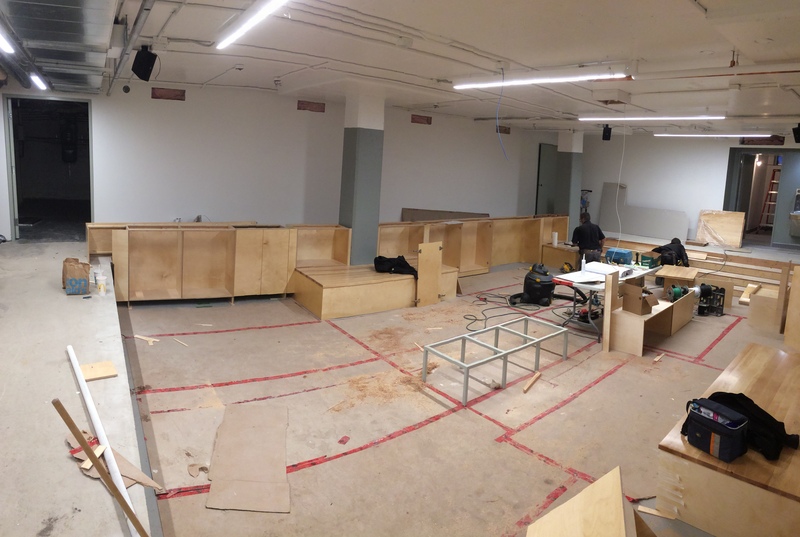 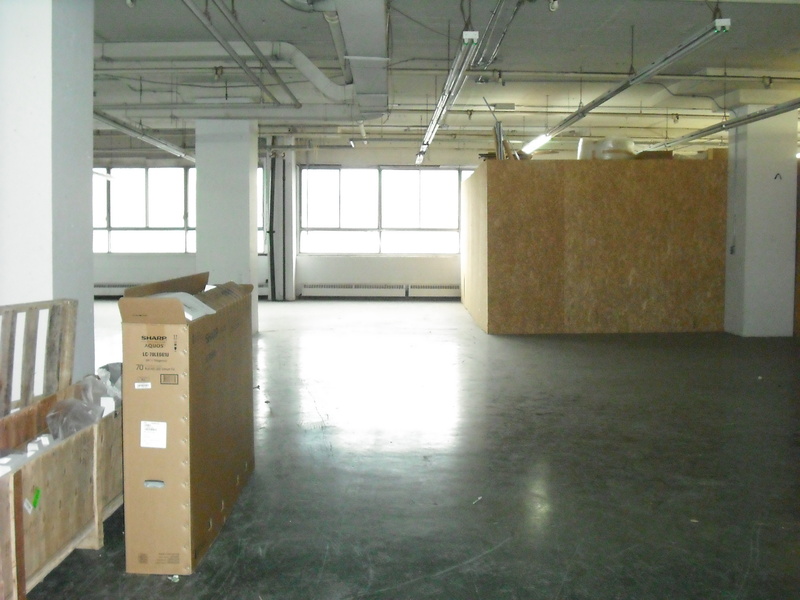 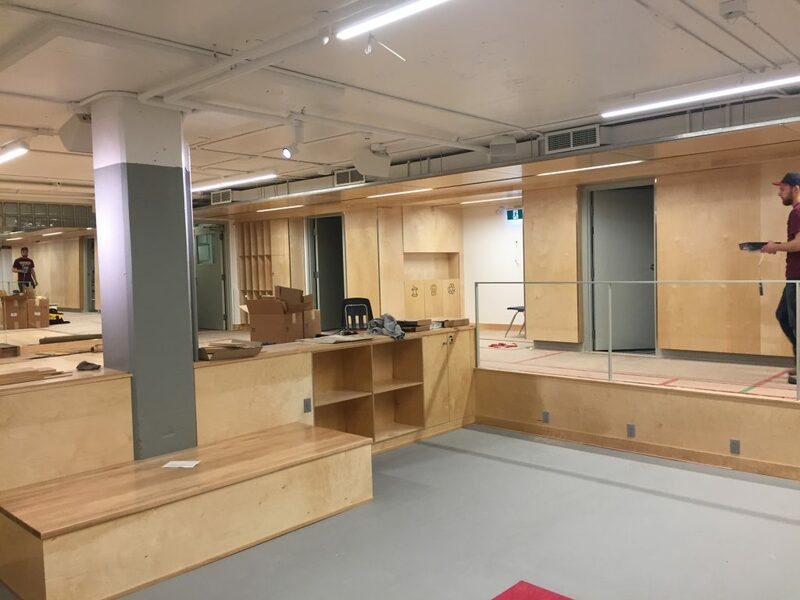 The redevelopment of suite 207 located at 5800 Saint-Denis, Montreal, for the Société de Transport de Montréal (STM), tenant of the future office once renovated. 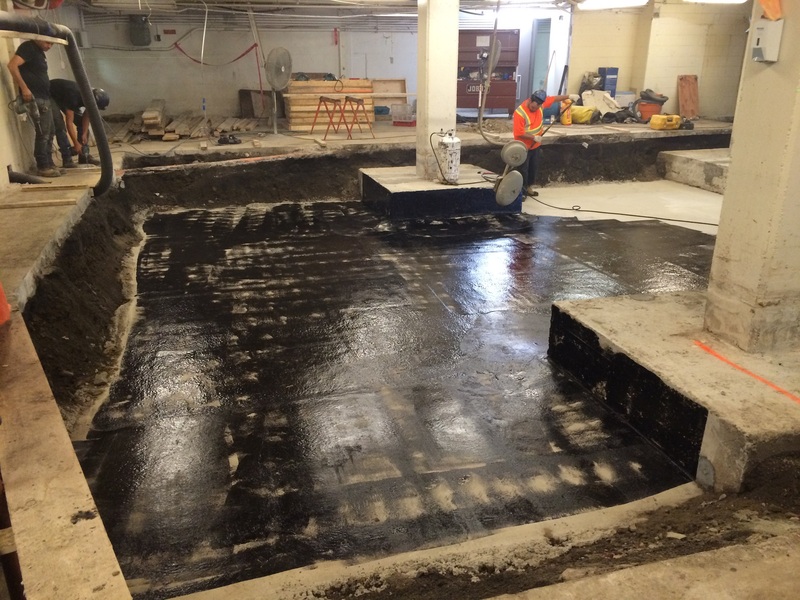 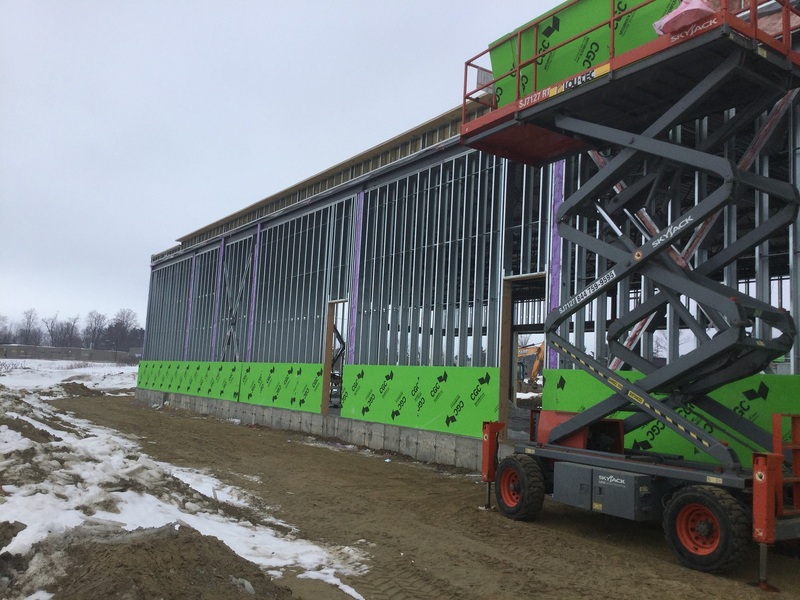 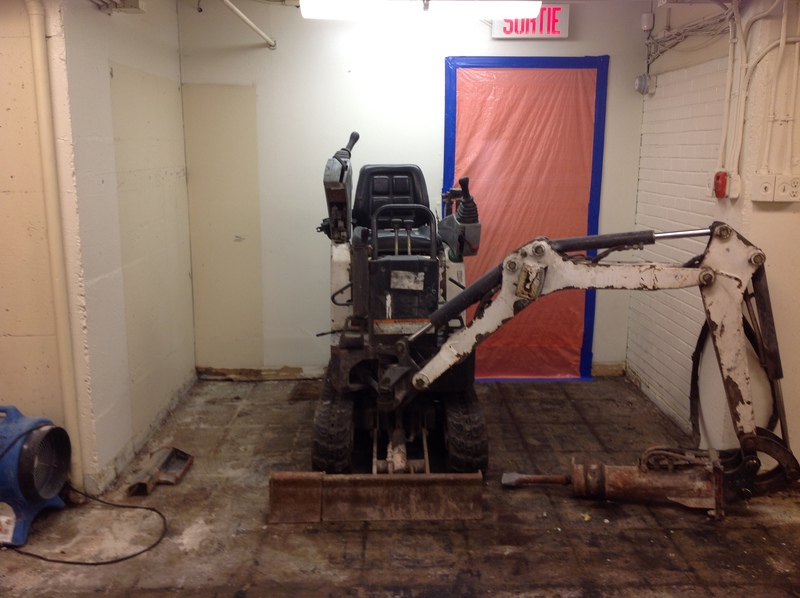 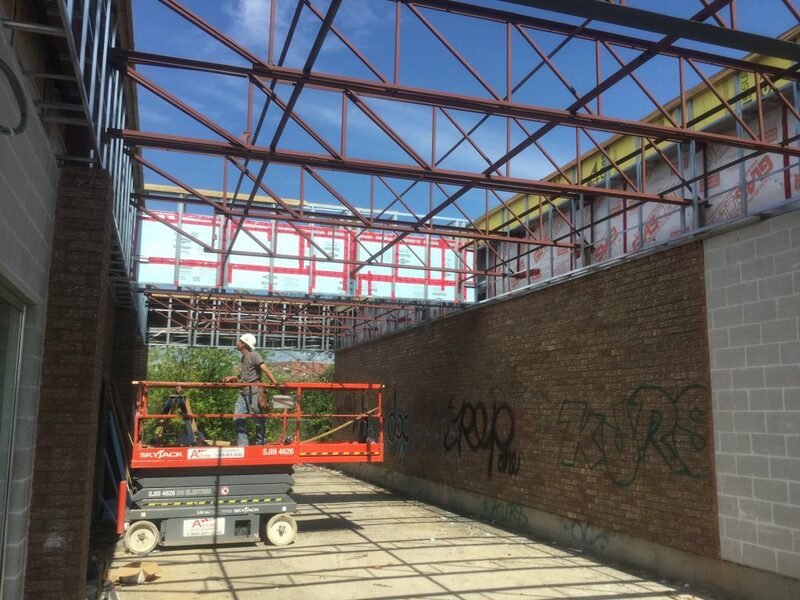 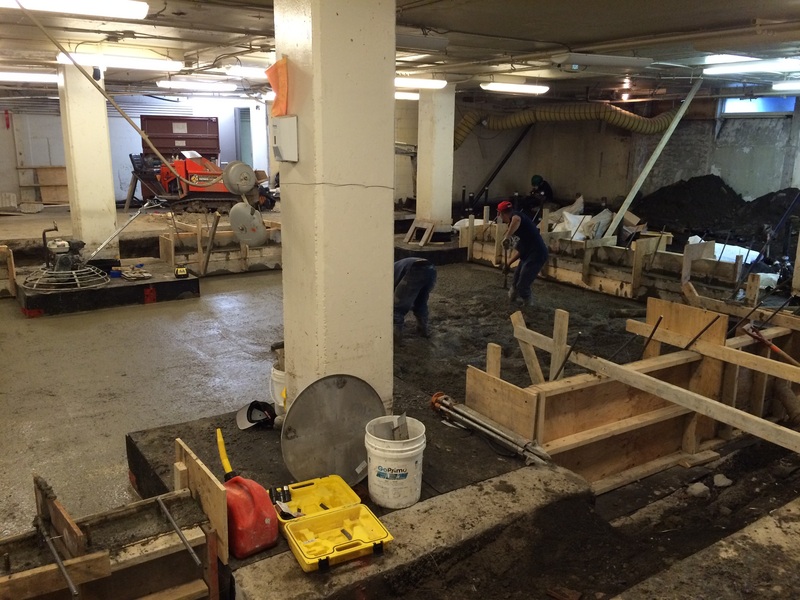 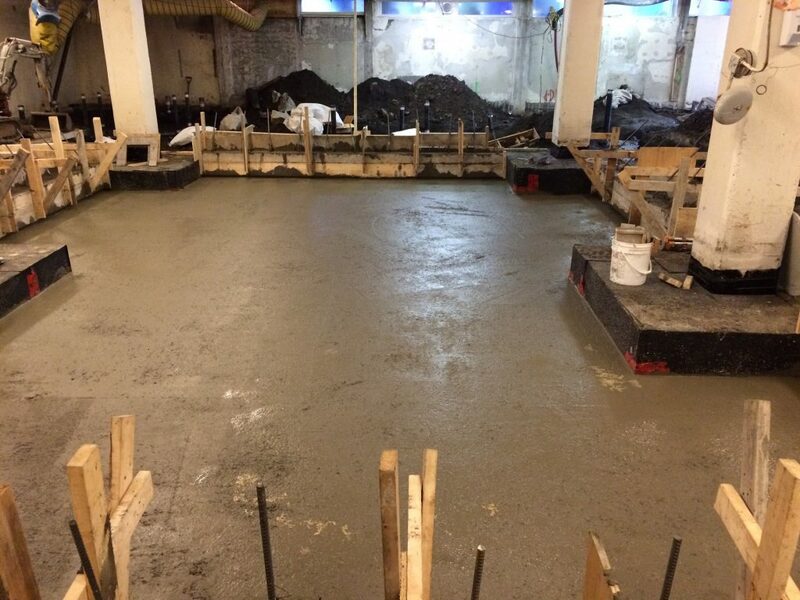 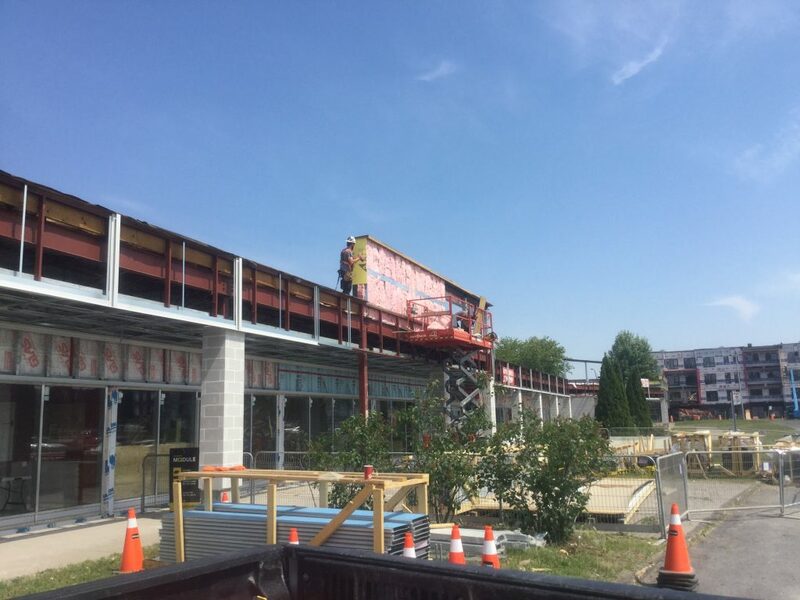 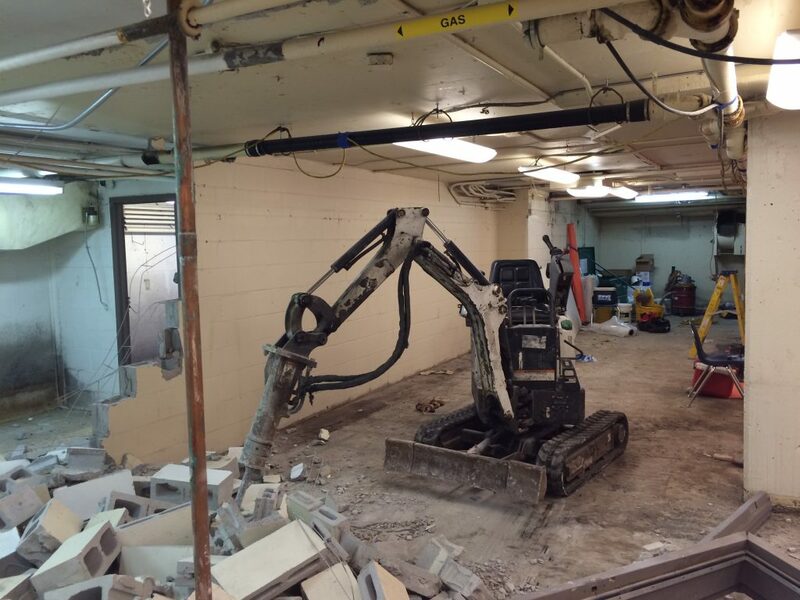 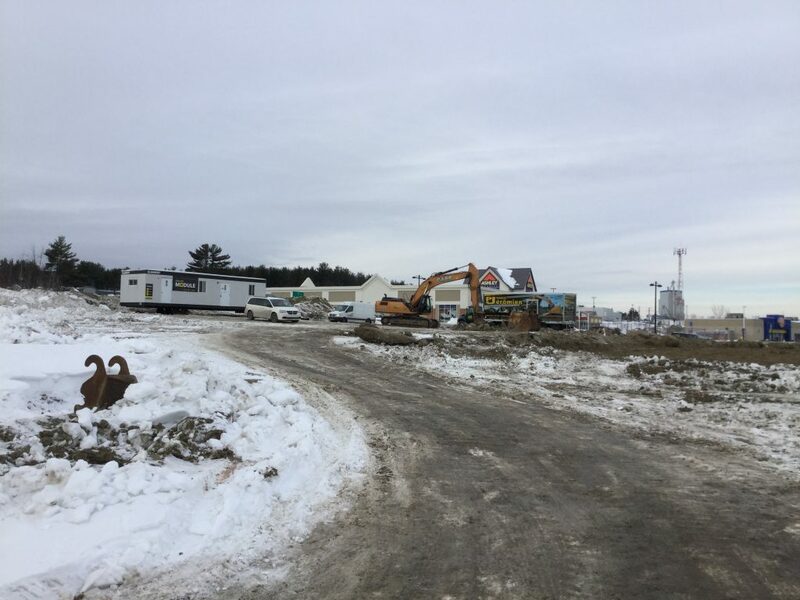 Since the beginning of the demolition works at the St.George’s High School in July, various works were held such as interior excavation, formwork and concrete works and reconstruction of the concrete slab of the lower area of the fitness center. 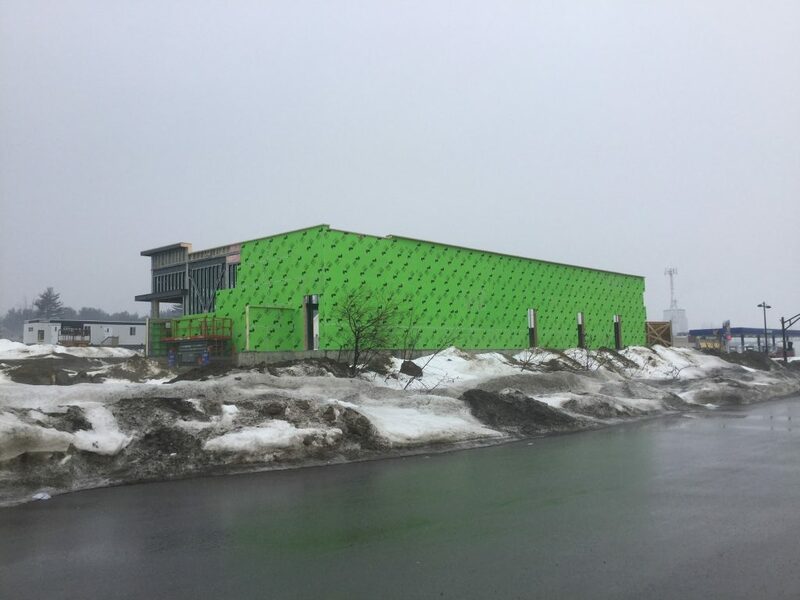 Here are a few recent aerial views of the 4 buildings A, B, C1 and C2 of Contrecoeur Coopérative de Solidarité Fusion Verte, in Pointe-aux-Trembles. 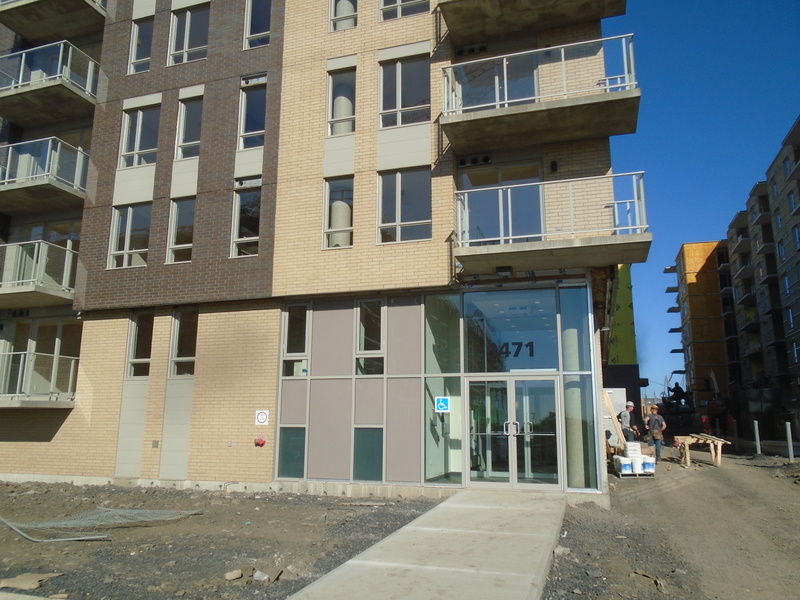 All 4 buildings forming Contrecoeur Coopérative de Solidarité Fusion Verte have been advanced a lot since our last update. 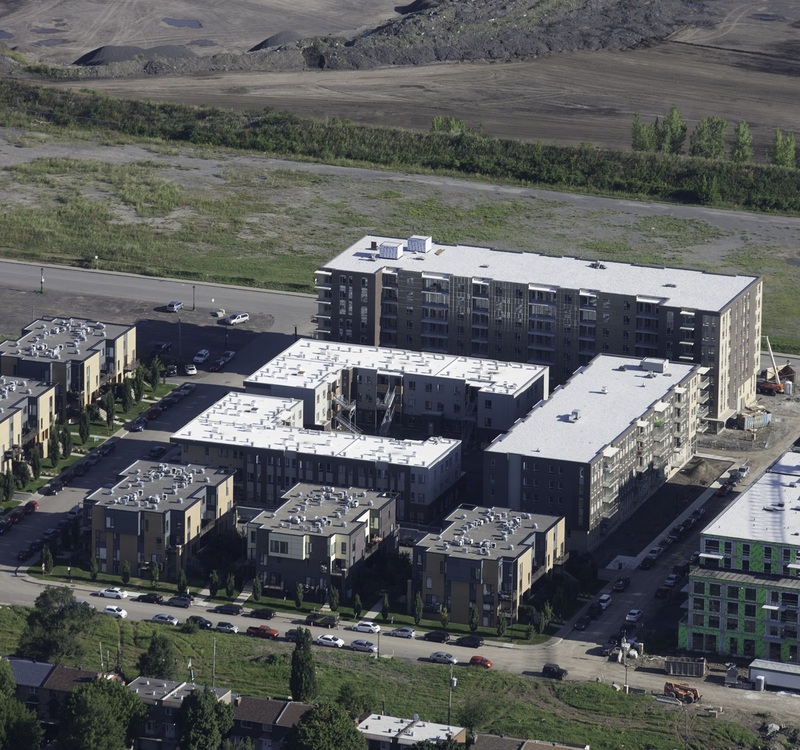 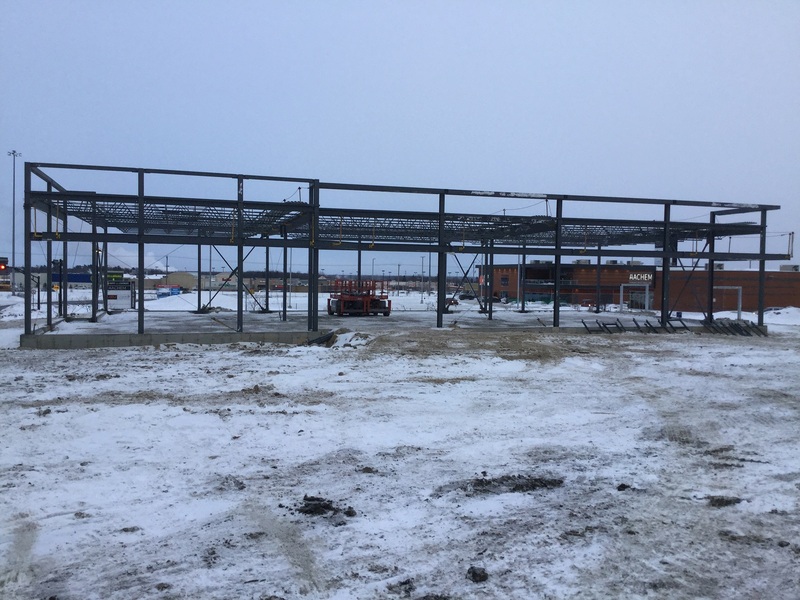 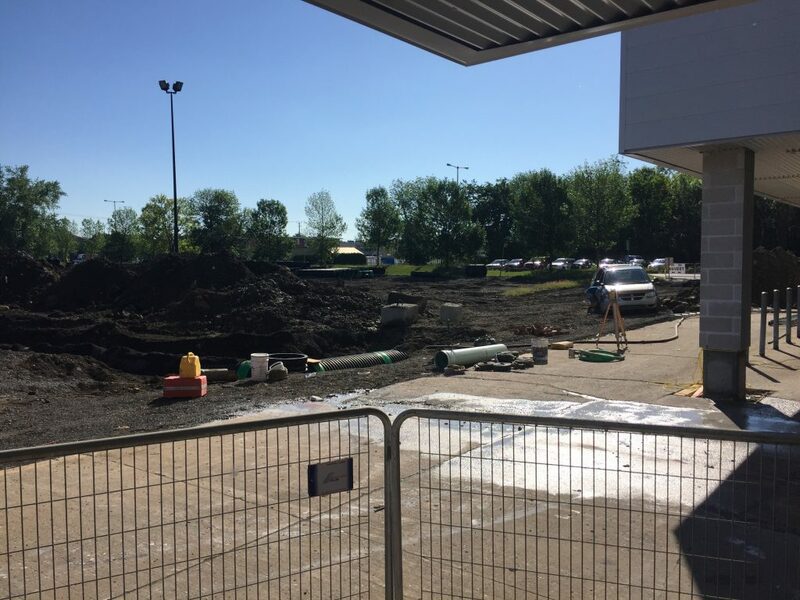 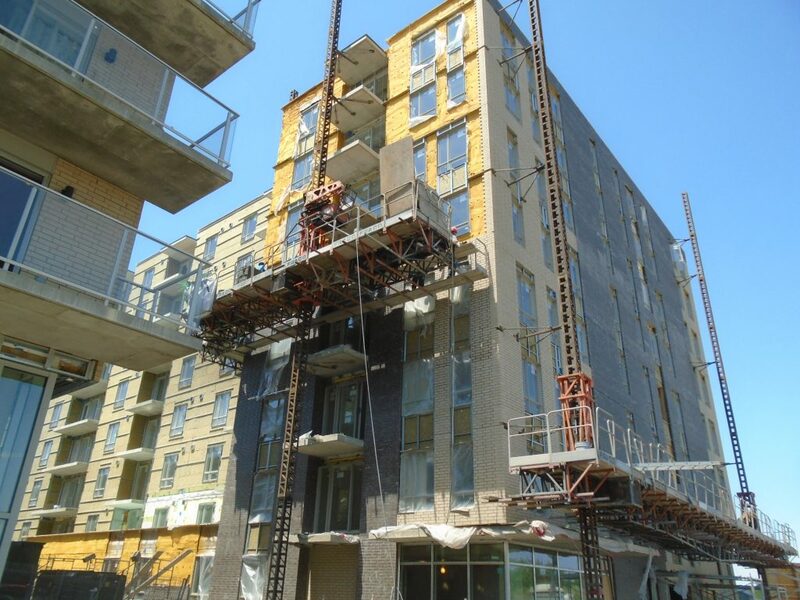 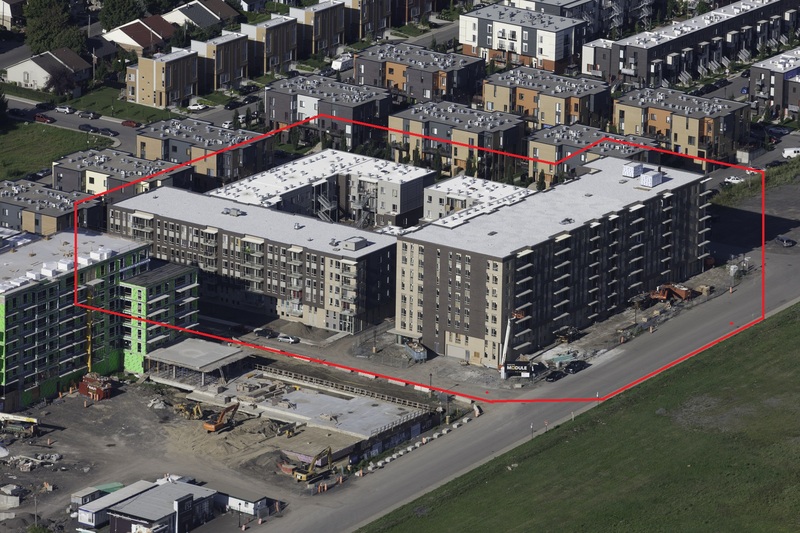 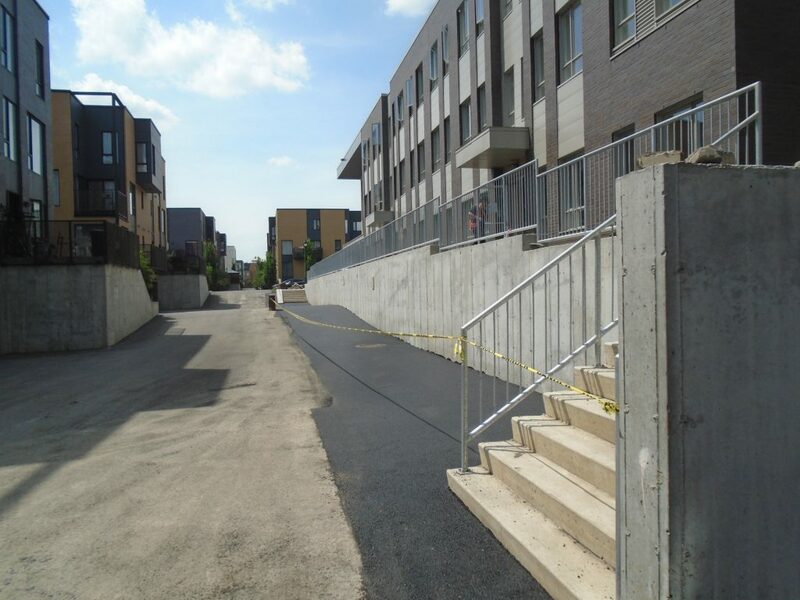 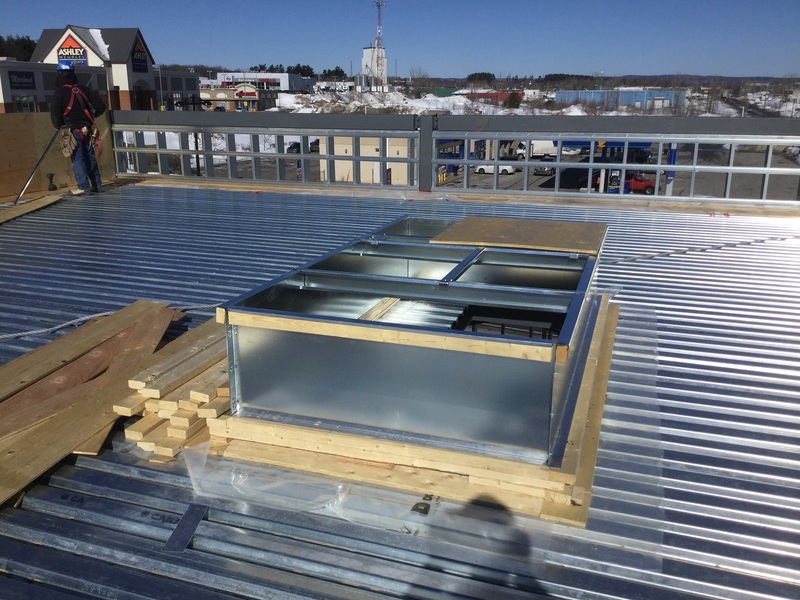 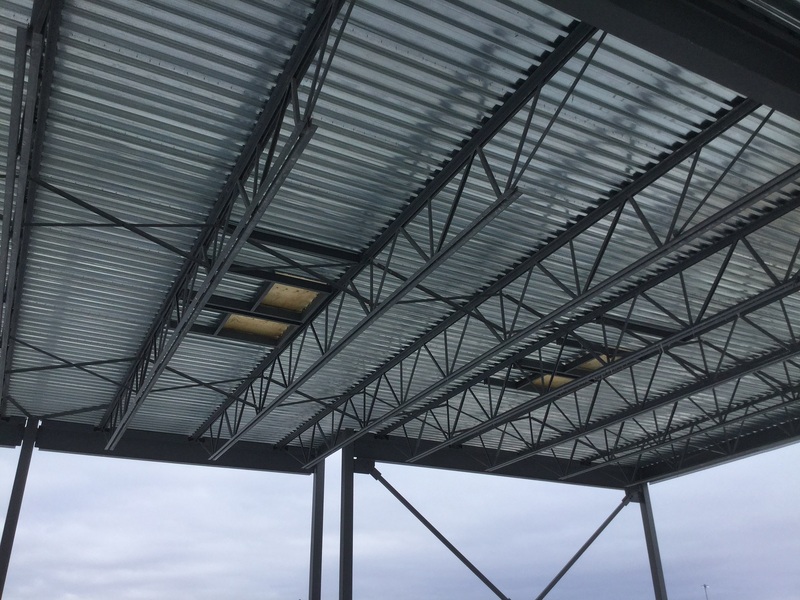 The proof – buildings B and C2 have been completely delivered and building C2, partially. 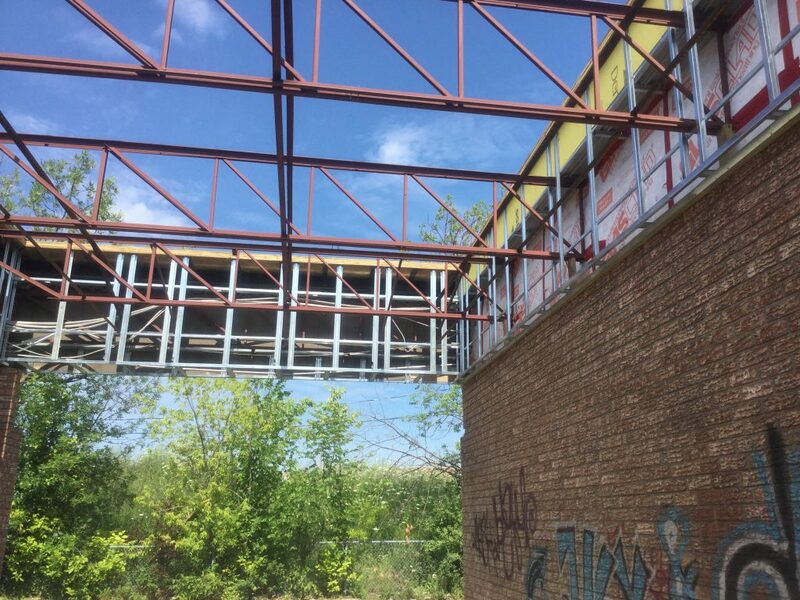 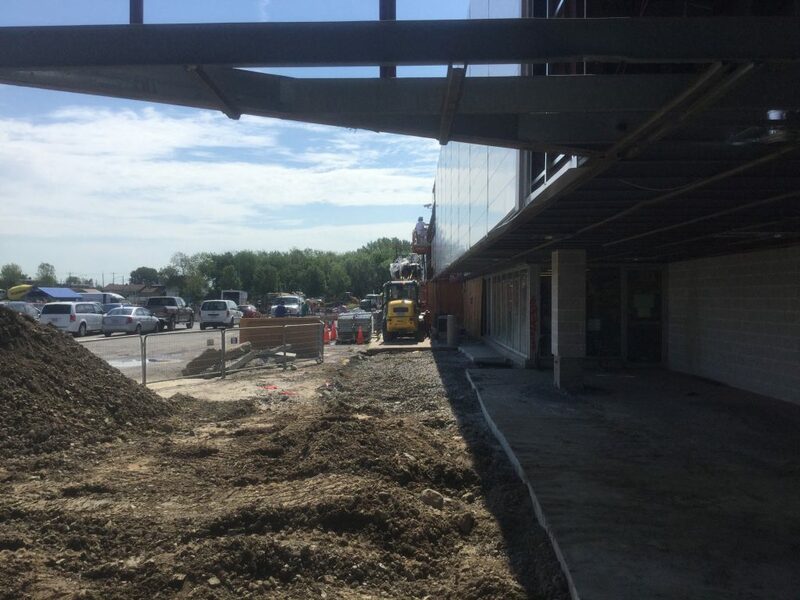 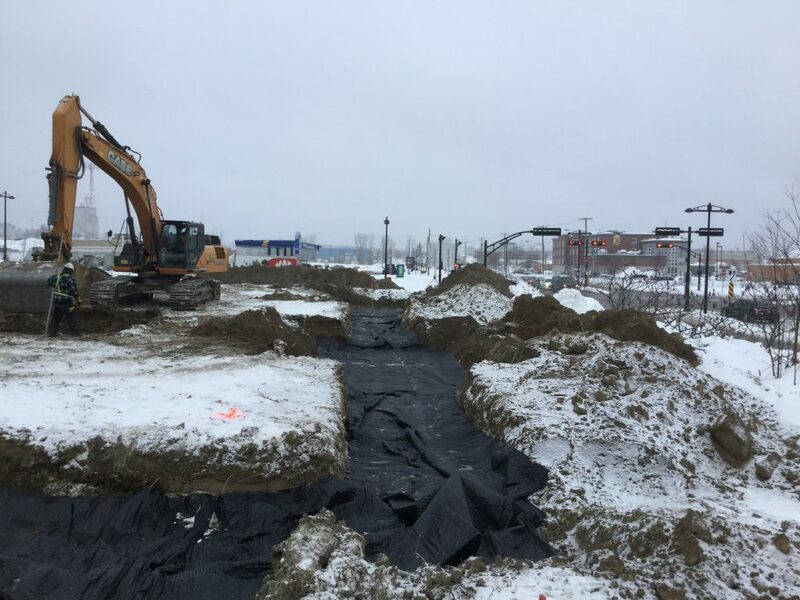 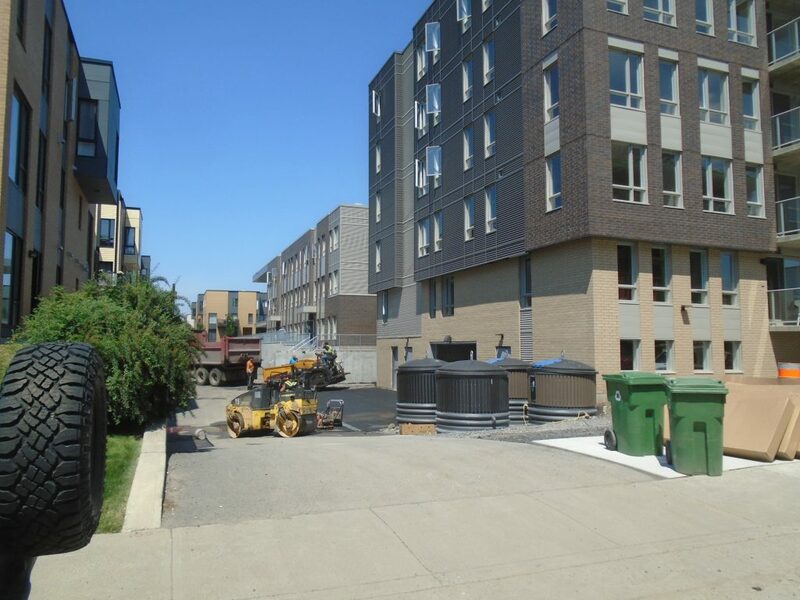 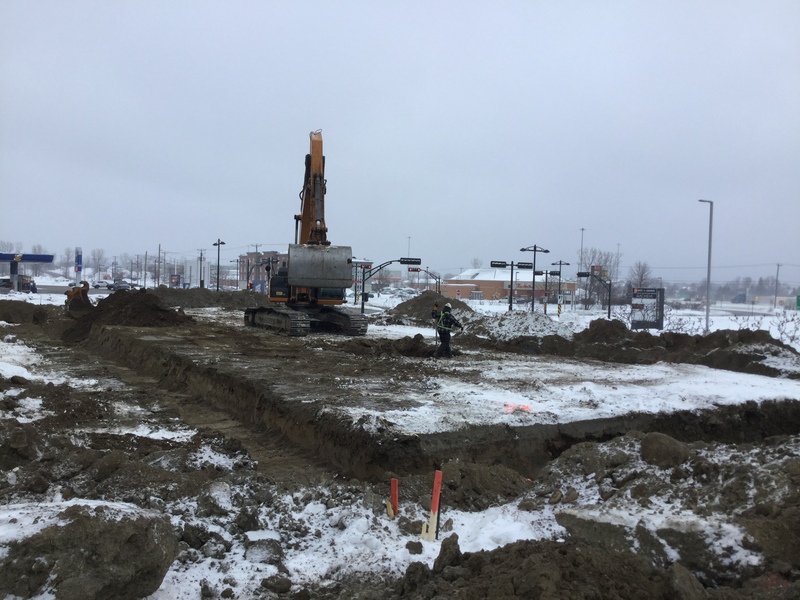 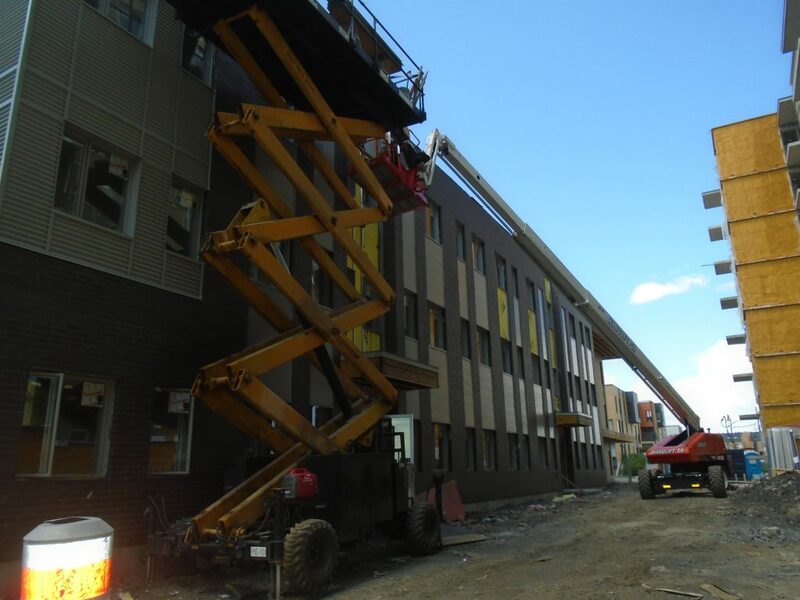 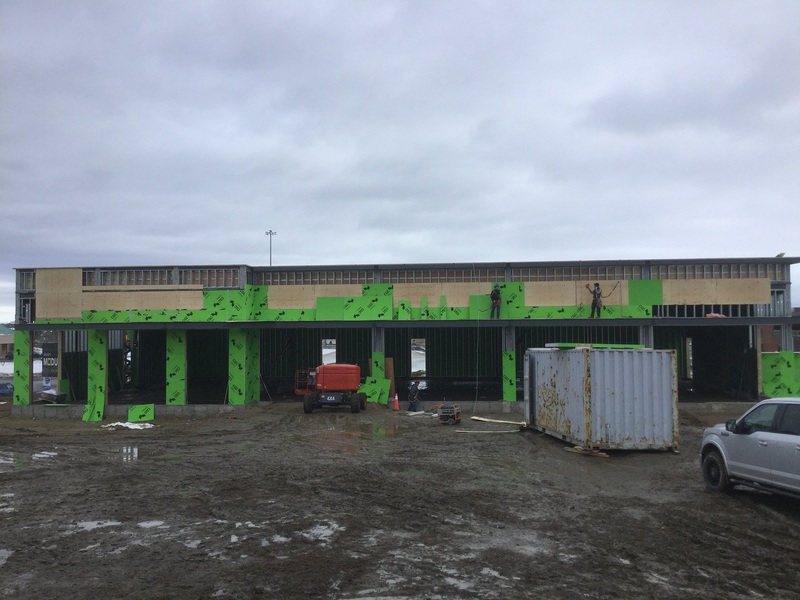 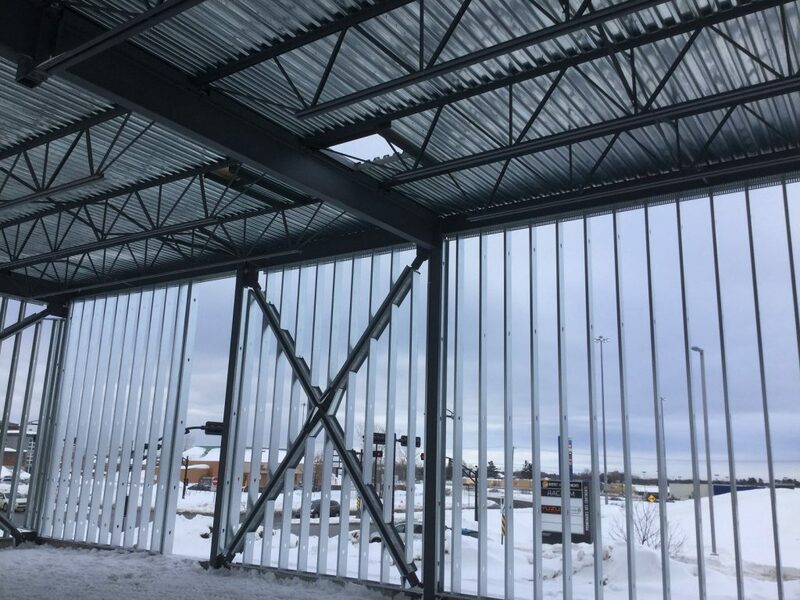 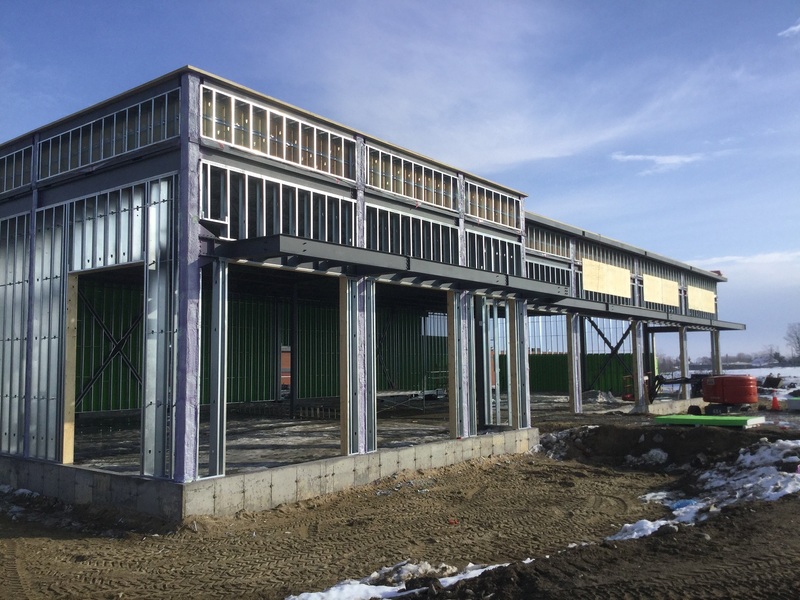 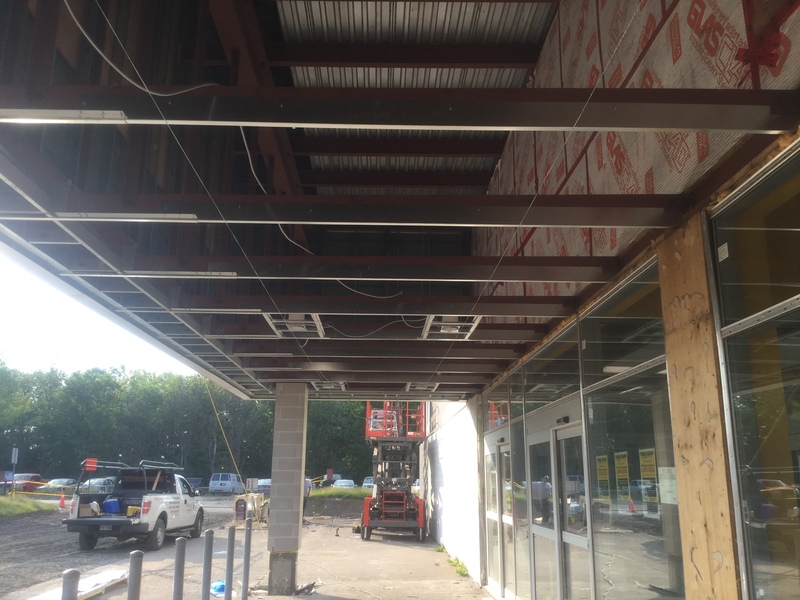 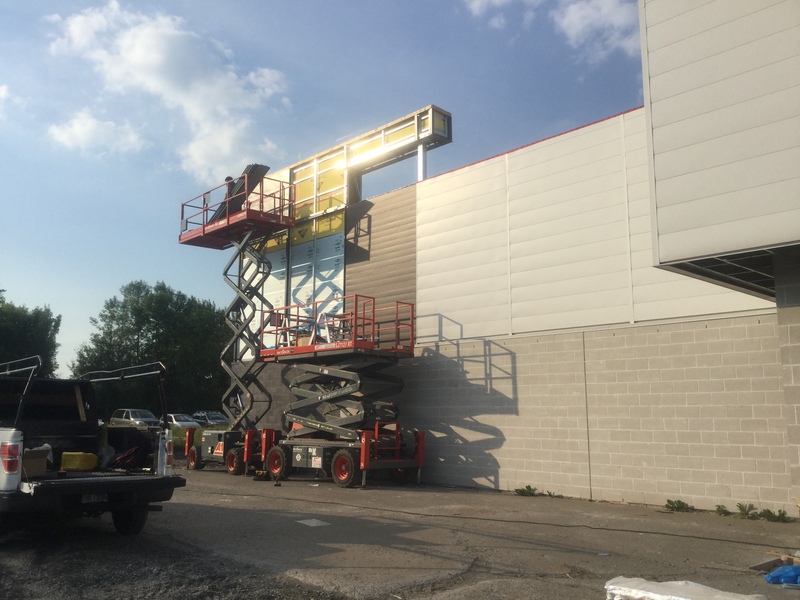 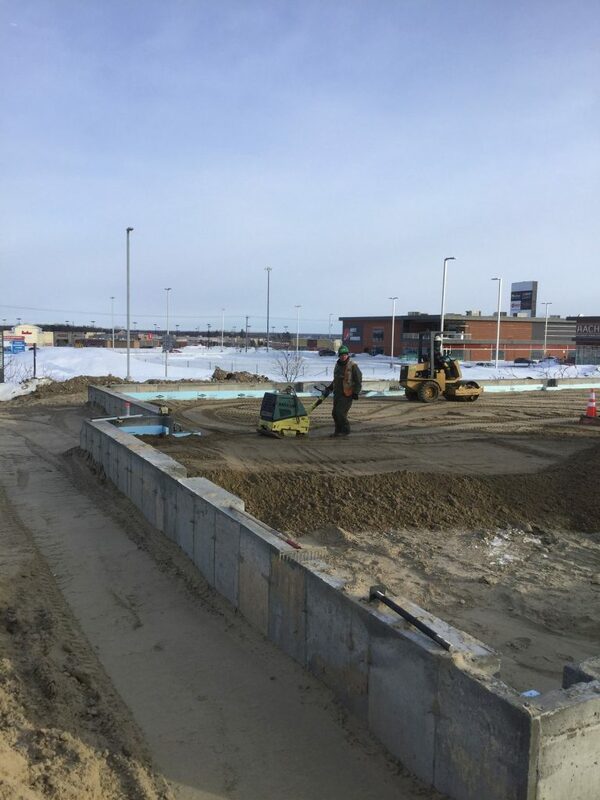 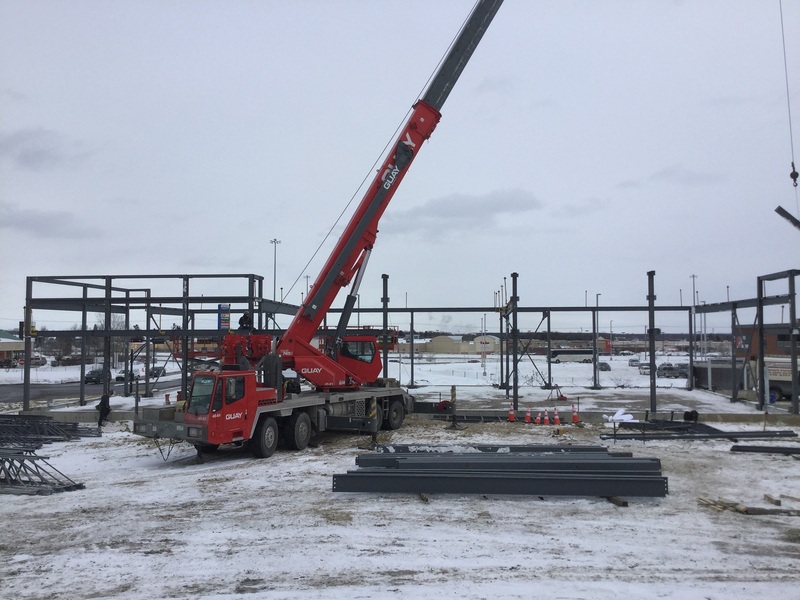 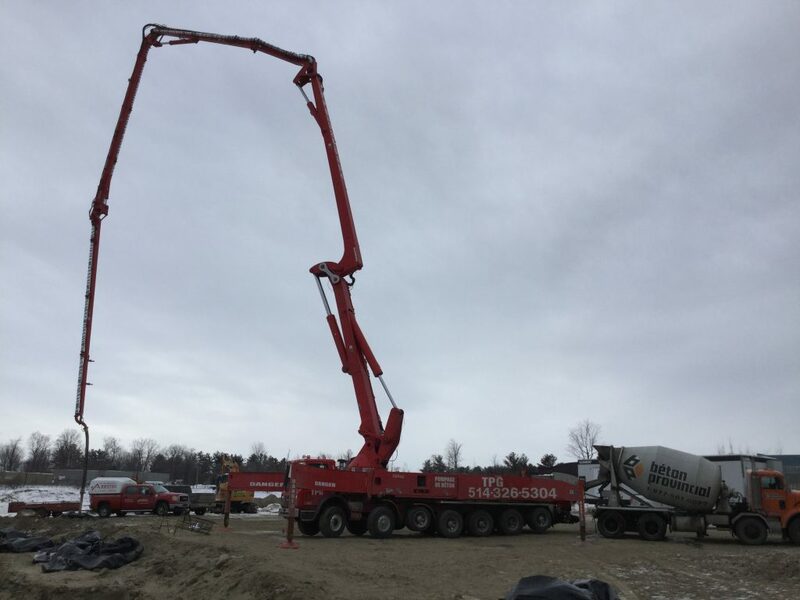 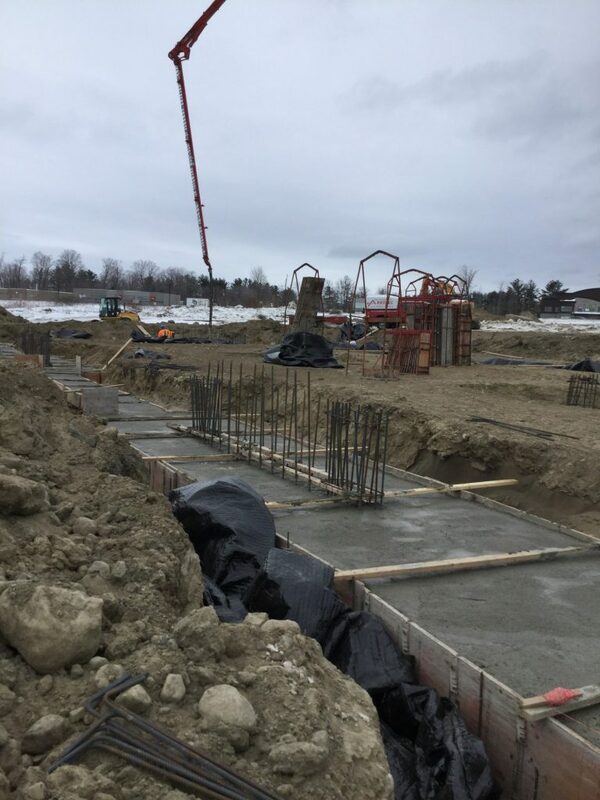 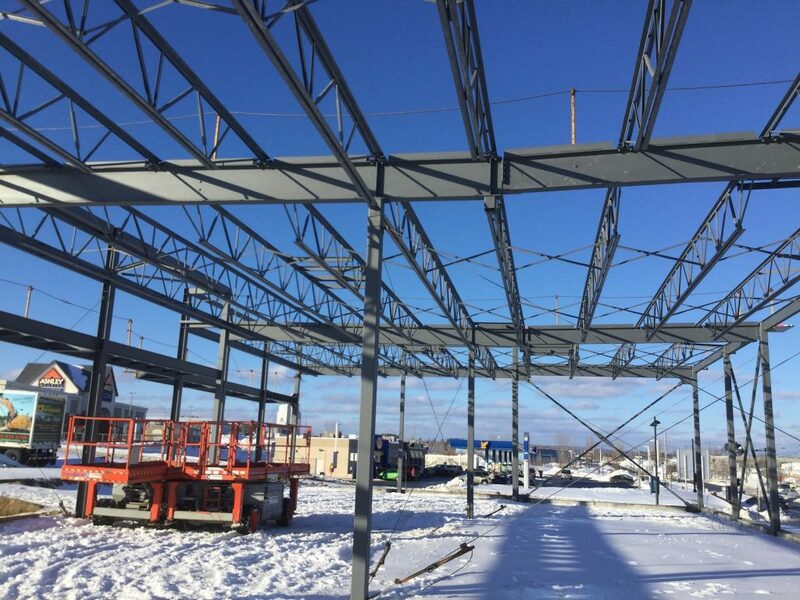 We recently observed at 3630 chemin de Chambly in Longueuil work progress of the structure of the rear extension and reinforcement of the existing structure as well as the demolition of a portion of the sidewalk in front of the building and parking lot. 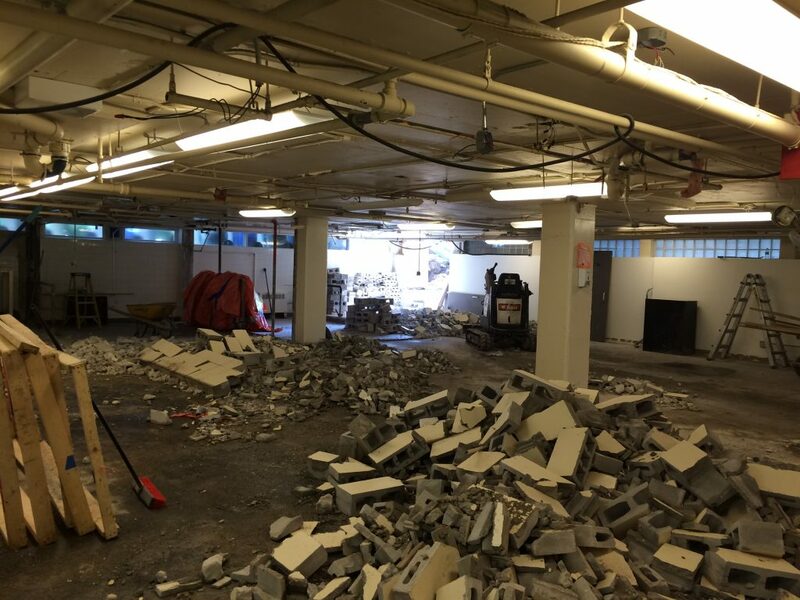 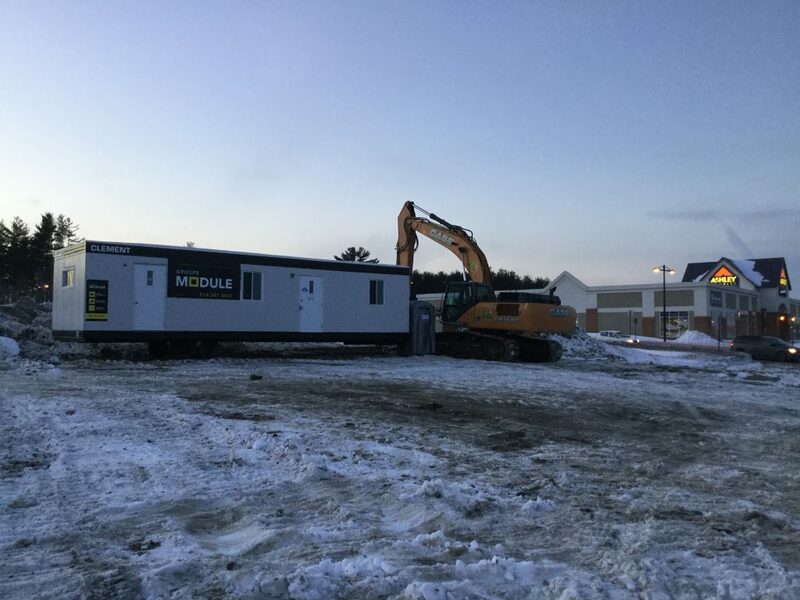 Since the end of June 2016, Groupe Module Construction has started the demolition of St. George’s High School‘s Fitness Center area.